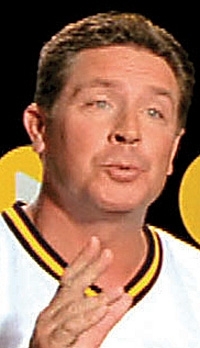 In AutoNation ads, retired Miami Dolphins quarterback Dan Marino says 7 is his new favorite number. AutoNation Inc. is offering service seven days a week at its 29 south Florida dealerships after successful yearlong trials at stores in Tampa and Clearwater. AutoNation, the nation's largest dealership group, wants to stand out from dealerships closed on Sunday and steal business from independent service outlets, such as Sears, that are open all week. Seven-day service also spreads service work over the week, making it easier to handle, says AutoNation President Michael Maroone. He says seven-day service could be adopted elsewhere in AutoNation's group of 245 new-car franchises, but no decision has been made. Maroone says the Fort Lauderdale, Fla., company has other initiatives under way to capture nonwarranty service business, such as time guarantees on some quick services and low-price guarantees. AutoNation launched the seven-day service Nov. 1 with a $750,000 advertising campaign in print publications and on TV, radio, billboards, the Internet and point-of-sale signs. TV spots feature retired Miami Dolphins quarterback Dan Marino announcing he is changing the number of his football jersey to 7 from 13. Maroone compares AutoNation's seven-day week to a drugstore's convenient pharmacy. Said Maroone: "If you go to a drugstore and find the pharmacy closed, it's a head-scratcher."